Urban J. 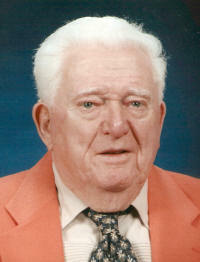 “Red” Kues, 88 of Trenton, passed away Sunday, May 9, 2010 at Breese Nursing Home. He was born September 12, 1921 in Aviston, IL, the son of the late Otto and Clara (Daniel) Kues. He married Dorothy “Dottie” Blumberg on June 4, 1948 in New York; she preceded him in death on November 21, 1995. In addition to his parents and wife, he was also preceded in death by brothers, Joseph Kues, Dan Kues, Edmund Kues; sisters, Johanna Renschen-Van Hatten, Sylvia Ratermann, Elizabeth Spihlmann and Martha Baird; brothers-in-law, Matt Gibson, Ray Baird, Robert Ratermann, Alvin Renschen, Vic Von Hatten, Otto Korte, and Tony Lampe; and sisters-in-law, Margaret Kues, Mary Ellen Kues, and Doris Kues. Urban enlisted in the U. S. Army in 1943. He stormed the beaches in Normandy on D-Day. He was the recipient of EAME Theatre Ribbon, W-4 Bronze Star, Good Conduct Medal and the Purple Heart. Urban worked for Grumman Aircraft for 60 years before retiring in 1987. He was a member of St. Mary’s Church in Trenton, Grumman Retirement Club, Trenton VFW Post #7983, and the Breese American Legion Post 252. Urban enjoyed playing golf, cards, and dominoes and was an avid Cardinals fan. He is survived by sisters, Mary Jane Korte of Trenton, IL, and Dolores Lampe of Aviston, IL and a brother John Kues of Lebanon, IL; a brother-in-law Ralph Spihlmann of Columbia; a sister-In-law, Grace Kues of Ft. Collins, CO; and many nieces, nephews and friends. Memorial Mass will be Saturday, May 15, 2010 at 10:00 am at St. Mary Catholic Church in Trenton with Fr. Eugene Kreher officiating. Interment will be in St. Mary Cemetery, Trenton. Visitation will be Friday, May 14, 2010 from 5:00-8:00 PM at the Moss Funeral Home in Trenton and again on Saturday, May 15, 2010 from 9:00-10:00 am at St. Mary Catholic Church in Trenton. Memorials can be made to the donor’s choice and will be received at the funeral home or church. 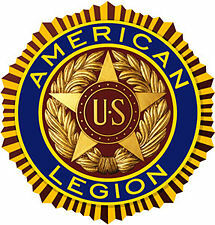 The Breese American Legion and Trenton VFW will hold services at 7:00 pm Friday evening at the funeral home.